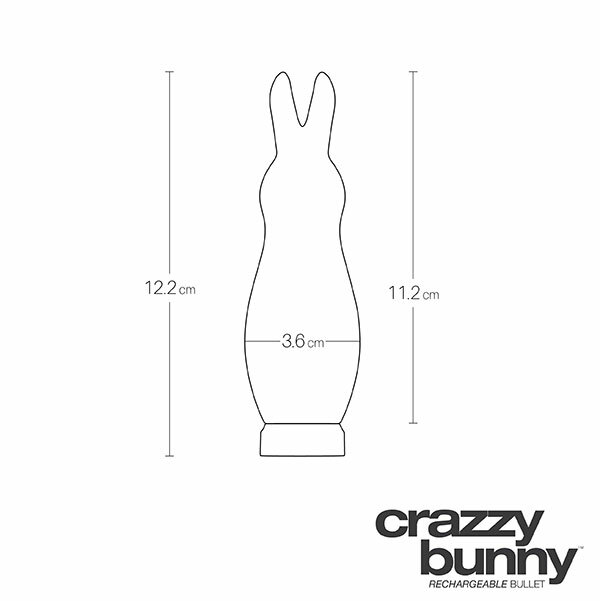 The Crazy Bunny Rechargeable Bullet from Ohhh Bunny by Vedo Toys is downright insane! 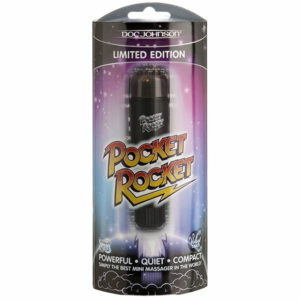 It’s unlike anything you’ve ever experienced with ten super-charged vibration speeds, one of the most powerful motors available, and it’s rechargeable! As soon as you turn the bunny on, you’ll feel the amazing power at all levels, and you’ll see the crazy bunny ears create vibrations perfect for direct or surrounding clitoral stimulation. The Crazy Bunny Rechargeable Bullet from Ohhh Bunny by Vedo Toys is downright insane! It’s unlike anything you’ve ever experienced with ten super-charged vibration speeds, one of the most powerful motors available, and it’s rechargeable! As soon as you turn the bunny on, you’ll feel the amazing power at all levels, and you’ll see the crazy bunny ears create vibrations perfect for direct or surrounding clitoral stimulation. The silver base is also the power button for easy operation. Screw off the base to access the charging outlet to recharge with the included USB charging cord. Instruction manual and storage bag included. 100% Waterproof and Submersible.